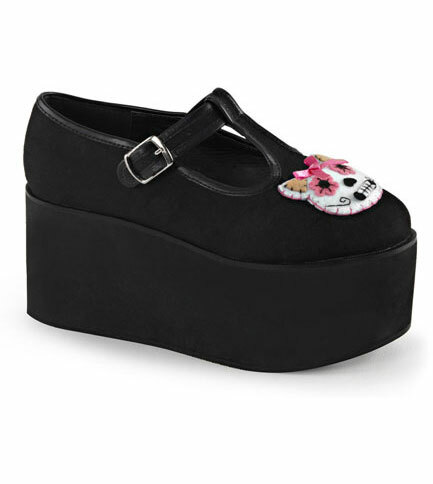 Kitty black Mary Jane style shoes with 3 1/4 inch platform and T strap closure. 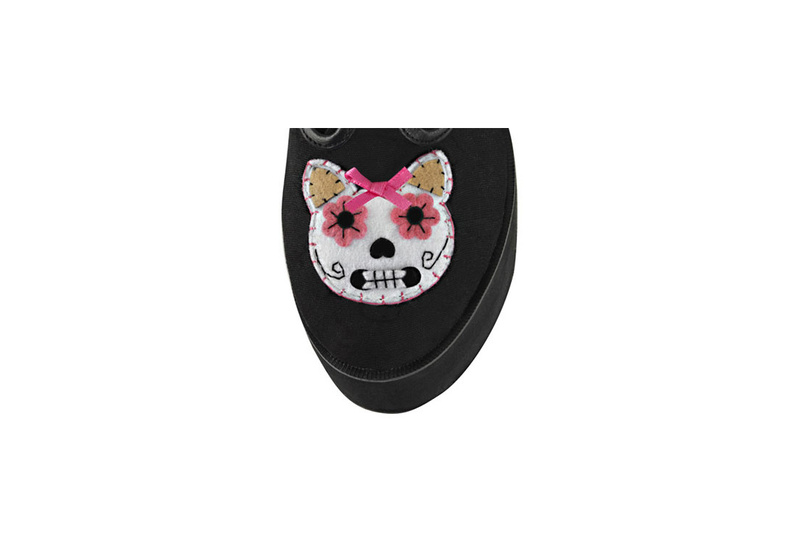 The Day of the Dead style stitched kitty on the toe is made of felt and is wearing a pink satin bow on top her head. The T-strap enclosure fastens with one silver buckle and shoe has piping detail along all the edges.